It's very possible that Antonio Brown was the wrong messenger with the right message when he spoke out against Ben Roethlisberger's behavior on his way out the door. In a piece written by Sports Illustrated's Robert Klemko, two former Steelers shed some light on the two-time Super Bowl champ and his leadership, including an instance where Ben intentionally fumbled a ball at the end of the game because he didn't like a play call. Josh Harris, an undrafted free agent out of Wake Forest, played his only NFL season with the Steelers in 2014, and shared the story of Roethlisberger's alleged intentional fumble telling SI: “At that moment I knew what kinda person he was." 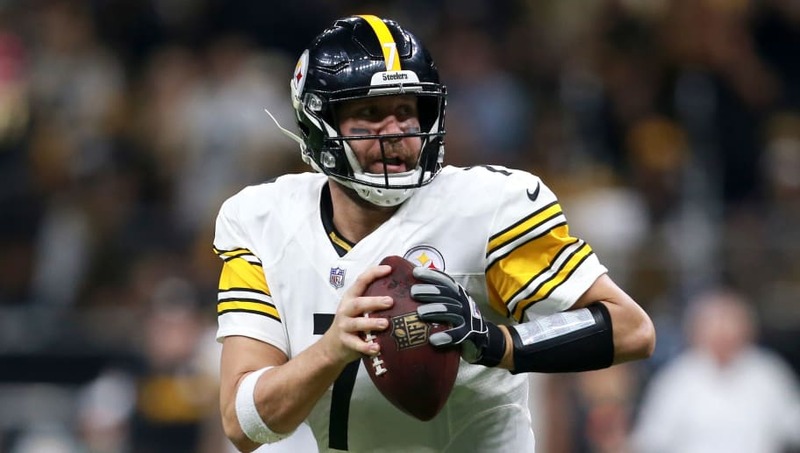 “Ben is a great player but he doesn’t try to connect with teammates,” Harris continued. “During my time there, I had conversations with vets like, Heath Miller, William Gay, Cam Heyward, Darrius Heyward-Bey, Will Allen, Ike Taylor, Troy Polamalu, Bruce Gradkowski, even James Harrison, but never Ben. Troy made an effort to talk guys. Not Ben though. And it was like that for others too." Isaac Redman, a running back in Pittsburgh for five seasons (2009-13), told Klemko that Ben has a lot of power in the organization and was disconnected from a lot of guys, the polar opposite of then-backup Charlie Batch, who was very welcoming. But Ben was "never a problem in the locker room." The Steelers' issues can't be pinned on one thing, there's plenty of blame to go around. But Big Ben has been overlooked by many in this whole equation. It's not often that you see comments like this about top QBs.